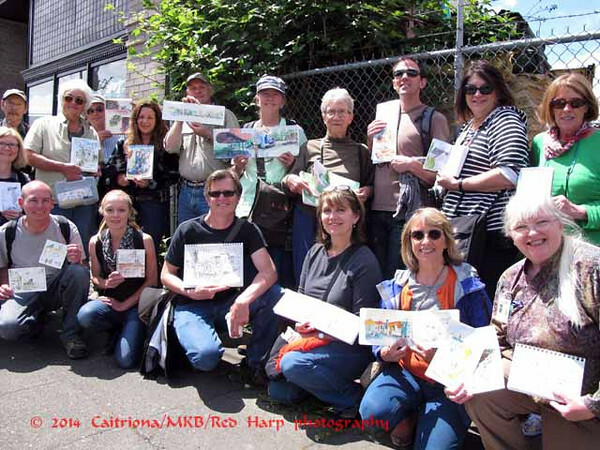 We really lucked out on the weather for Seattle Urban Sketchers outing to Georgetown. Rain and thunderstorm was predicted but we had warmth and sun. I went straight to the Rock House on Flora Ave. 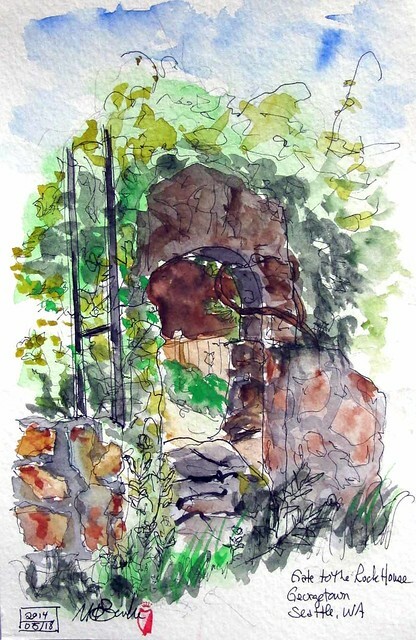 I will return to sketch other views, but I liked the arched entry. There are several old and interesting houses in this neighborhood. 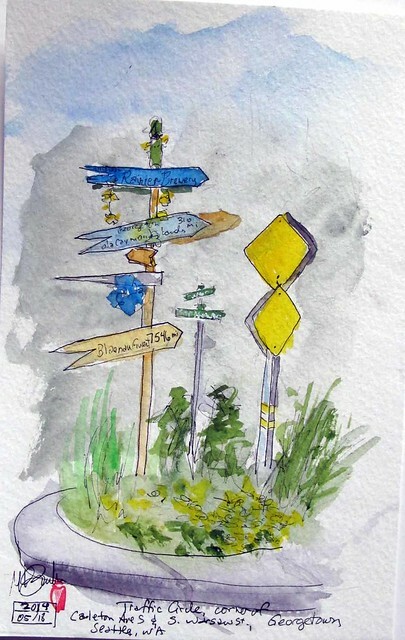 Then I went a couple blocks over to sketch the traffic circle at Warsaw & Carleton, just next to the Carleton Ave. Grocery. 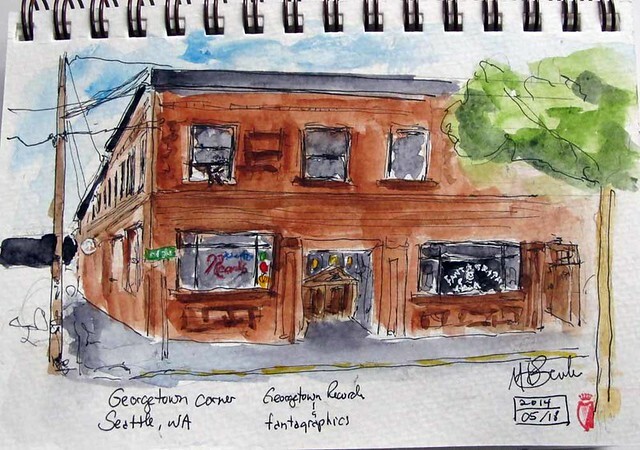 I started this sketch of the Fantagraphics building before the outing started and finished adding color after. It might not be obvious, but there is a "Dog on Duty" in the upper left window! Or so the sign says. There were 18 of us with, I think; 8 first-timers and one out-of-town visitor. Gail had to leave early so she's not in the photo. 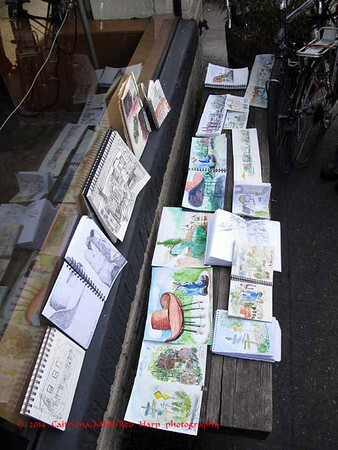 We shared our sketches on a bench outside the coffee shop. All my photos from the day are here.